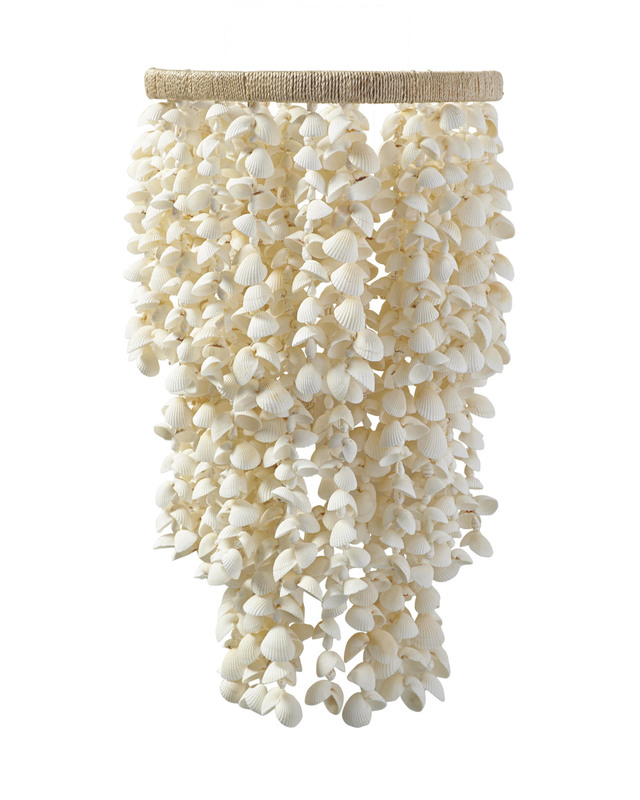 Aptos Shell SconceAptos Shell Sconce, alt="Aptos Shell Sconce, "
Print Three tiers of tropical shells – each cleaned, sorted, and strung by hand – are attached to a framework hand wrapped in natural abaca. 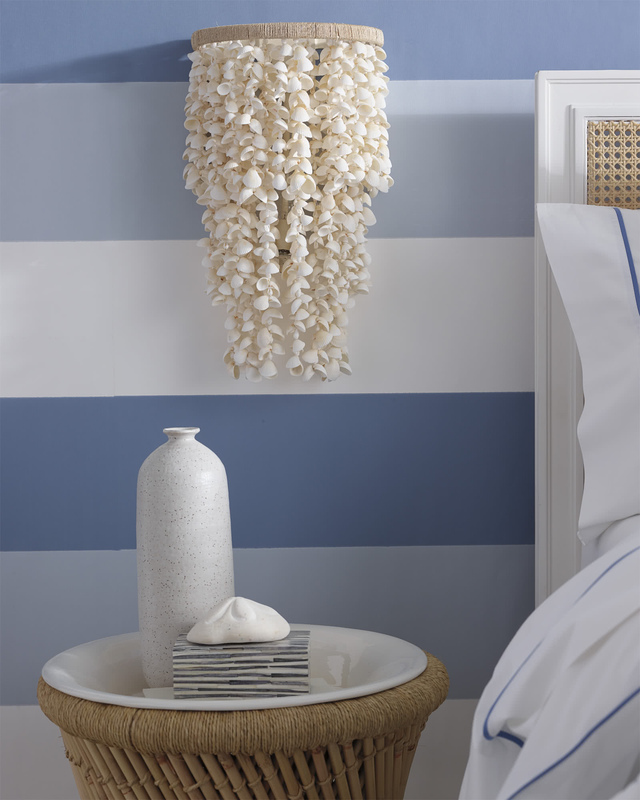 Beachy yet romantic, it has a casual ease we just can’t get enough of. 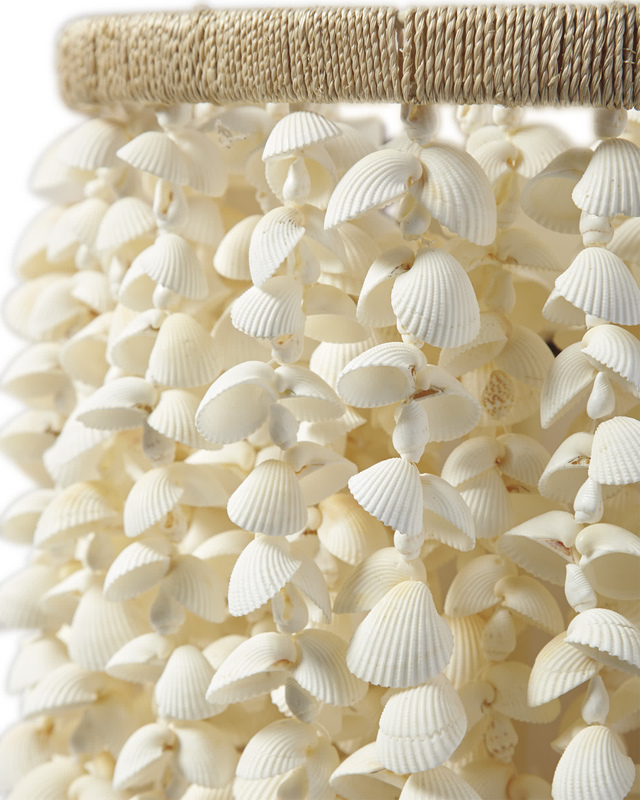 Hand-harvested natural shells strung by hand. Iron frame hand-wrapped in abaca. Uses a Type B bulb, 40W max.